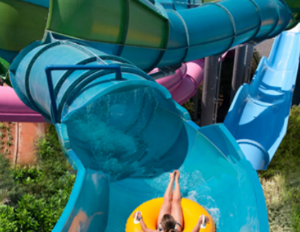 Ihu’s Breakaway Falls at Aquatica — SeaWorld’s Waterpark includes the tallest and steepest waterslide in Orlando. “Keep the adrenaline flowing at Taumata Racer, a high-speed racing slide that allows up to 8 guests to race at the same time,â€ says Erin Gifford, family travel expert and founder ofÂ Kidventurous.com. The park also has a lazy river, a wave pool and a splashy structure with a 500-gallon dumping water bucket. The Fury 325 is one of the 5 tallest coasters in the world. “Taller than the Statue of Liberty, which is 305 feet tall, the Fury 325 sends riders racing up, down and around turns at 95 miles per hour,â€ says Erin Gifford. Carowinds has 9 other roller coasters that offer drops, loops, turns and spins – both forward and backward. The Disneyland Resort Diamond is celebrating its 60th anniversary, so this year park visitors can expect everything from evening parades to special cocktails, cupcakes, desserts, popcorn buckets and other unique treats. “In addition to old standbys such as Pirates of the Caribbean and Big Thunder Mountain Railroad (which got a cool upgrade last year), there will be a spectacular new nighttime parade and fireworks show,â€ says Arthur Levine, theme park expert for About.com. Doing what the Mouse does best, the presentations will deftly stir emotions with eye-popping technology and huge doses of nostalgia. Adrenaline Junkies take note, Knoebels has a new hair-raising attraction–Impulse,– a roller coaster with a 90-degree vertical drop. Additionally, the park features historic rides such as the 1948 classic wooden roller coaster Phoenix and a brass ring carousel – a rare find in the US. Knoebels Amusement Resort is located in Elysburg, PA, which is about 2 1/2 hours outside Philadelphia.Â Admission is free, but guests do pay per ride. “Plan to stay all day. Knoebels has several rides, the best amusement-park food and fun activities to keep your family happy for hours,â€ says Robb Alvey, theme park expert and founder ofÂ ThemeParkReview.com. Knoebels also Â features one of the largest campgrounds. Family and Travel experts describeÂ Knott’s Berry Farm as a park with great thrills coupled with small-town charm and fantastic roller coasters. Â “From the speed of Montezooma’s Revenge to the looping Boomerang, Knott’s has great thrills – even offering small screamers for kids who are just getting started on coasters,â€ says Lissa Poirot, editor-in-chief ofÂ FamilyVacationCritic.com. Visitors can also save $25 per ticket by purchasing in advance online. Schlitterbahn is an enormous, unique and innovative water park. Some of Schlitterbahn’s waterslides empty into the river that meanders through the park. “Among its notable attractions are 2 world’s firsts: the wavemaking Boogie Bahn Surfing Ride and the Master Blaster uphill water coaster, which sends passengers racing in the dark for a face-to-face encounter with a dragon,â€ says Arthur Levine. Where are your favorite amusement parks? Drop me a comment below.